A chic utility jacket with ultra-luxury sewn into every seam, M. Miller's Trax Jacket is a versatile piece of winter fashion wear. It combines 10K/20K waterproof-breathable design with 100g Thinsulate™ insulation and a 40g liner. The result is a jacket that holds up to bitter cold, snow, and bitter cold plus snow together. 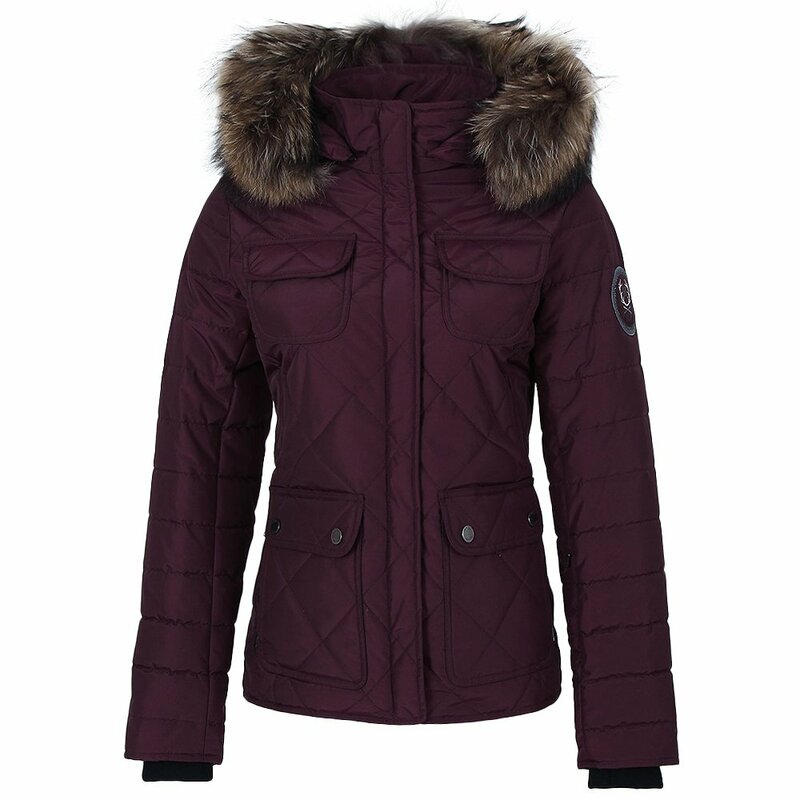 This jacket includes a convertible hood/collar and plush detachable fur trim, allowing you to wear it how you like. "Does this jacket have a snow skirt? Does it have any interior pockets?" "The M. Miller Trax Ski Jacket has a powder skirt and a left interior chest pocket . Hope this information helps!"